• The Jets are in the red zone and take a timeout after Jurrell Casey of the Titans sacks Jets quarterback Josh McCown for a three-yard loss. After the timeout, McCown is sacked again, pushing the Jets even further back. An incomplete pass on third down ends the Jets chances to extend the drive and score a touchdown. Jason Myers goes on to kick a 39-yard field goal to give the Jets a 19-6 advantage. The Jets would later need this timeout when they fell behind late in the game. • The Titans use their first timeout of the half after they stop the Jets on a first down run play. Tennessee used its timeouts well at the end of the game when down by three points. A timeout before the two-minute warning allowed them to get the ball back with plenty of time left to mount a game-winning drive. They used the clock exceptionally well at the end of the first half as well. The Jets had to run the ball here to force the Titans to use their timeouts. They both played this smartly at the end, however, the Titans were able to execute and stop the Jets. • The Titans overcame a 16-point deficit to win the contest and break a two-game losing streak. A loss here would likely have forced them to win their remaining games to have a shot at the postseason. At 6-6, their chances are not great, but they still have life heading into their final four games. The Titans have a quick turnaround as they play the Jaguars on Thursday night. • The Jets have lost seven straight games after starting the season 3-2. 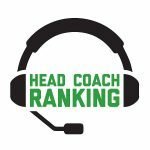 It seems more likely than not that the Jets will make a change at head coach after the season, if not possibly before the end of the season. • Marcus Mariota had an excellent second half, throwing for 220 yards (282 yards game total). His first half was forgettable as he threw a pick six to Trumaine Johnson and was generally inaccurate. • Tennessee was awful on third down as they converted only one of 11 third-down conversion opportunities. • The Jets played a third straight game without Sam Darnold. Josh McCown threw for 128 yards on 17 completions. At this point in the season, there may be too much risk involved in having Darnold start games — but having McCown behind the center is hurting the Jets passing game and offense. • It was a rough game for Titans special teams and special teams coach Craig Aukerman as Tennessee had a punt and PAT blocked and allowed a 61-yard kickoff return. • In general, it was a poorly played game where poor offensive line play, penalties and other miscues killed drives and prevented scoring opportunities.